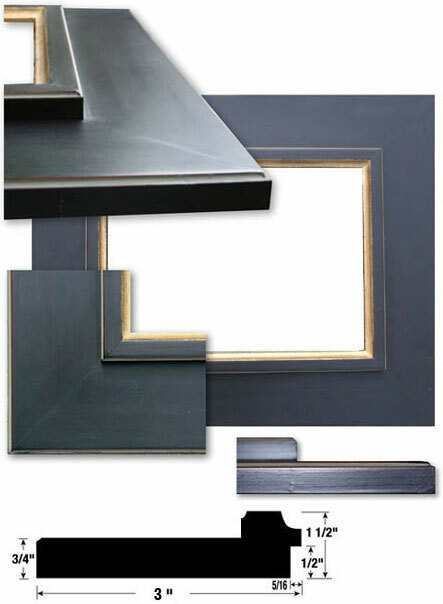 We just can't say enough about the Firenze plein air frame, it's absolutely stunning in it's elegant simplicity! Beautiful satin black with subtle red underpainting and Gold lip. In 3" or 4 3/4" widths. An exquisite and unique solid wood picture frame that will dramatically showcase your art and set you apart!